Requirement: Change timer job schedule in SharePoint for "User Profile Service Application - Activity Feed Job". In Edit Timer job page, set up the activity feed sync time according to your needs. By default, its set to run for every 10 Minutes. 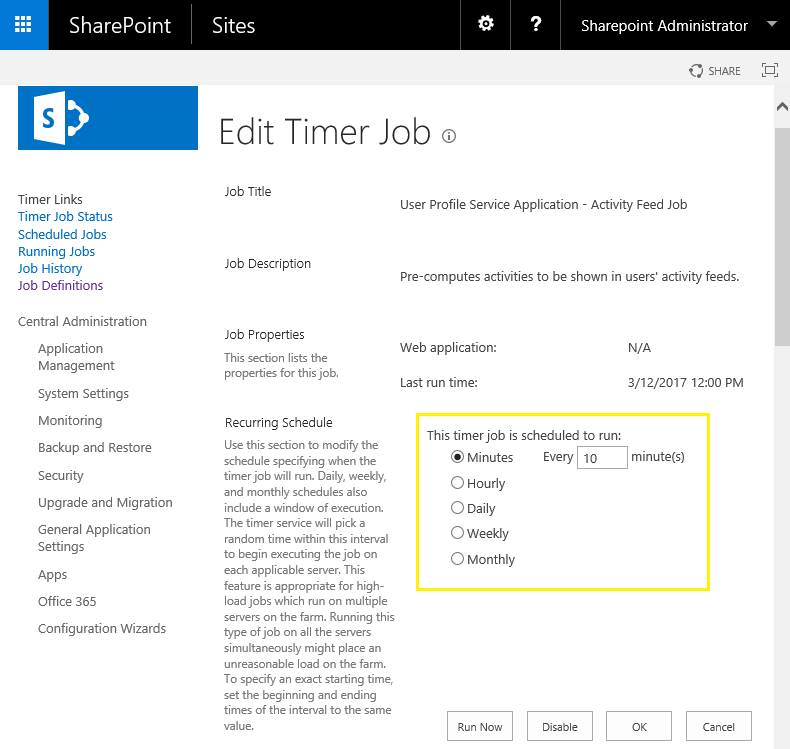 SharePoint 2013 timer job Schedules can be set through the Set-SPTimerJob cmdlet. Here is the PowerShell script to change timer job schedule. $TimerJobName="User Profile Service Application - Activity Feed Job"
Get-SPTimerJob $TimerJob | Set-SPTimerJob -Schedule "Every 5 minutes between 0 and 59"
This script sets the timer job schedule to 5 minutes!